The partners analyzed the progress of PanCanRisk project during the first year and also, they defined specific goals and next steps. Firstly, Stephan Ossowski discussed the development of a computational platform for sequencing-based cancer risk analysis, and Ángel Carracedo mentions that the compilation of the germline variants are very important, regardless of whether they have controls to compare patients suffering from cancer to people without the disease, and proposes the addition of other exomes from people affected by many different diseases, but mainly cancer. Stephan Ossowski reiterates that at least 100 exomes have to be added to the database each time to avoid tracing the information back to person. Then, Hana Susak discussed tools for rare and common variant association analyses in cancer studies, Oliver Stegle analysed the identification of regulatory variants and eQTLs, integrating germline and somatic mutations and phenotypes. Gabriella Palacios and Ceres Fernandez also discussed her side of replication and clinical validation in cancer and cancer-risk cohorts. Finally, Roslin Russell discussed the computational biomarker development for cancer predisposition genes and Aura Carreira the functional study of identified risk genes and regulatory variants. 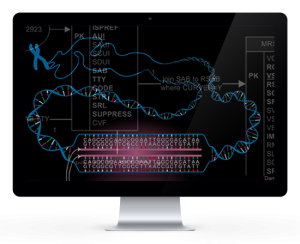 The PanCanRisk project aims to apply bioinformatics for global identification of genetic susceptibility to cancer and clinical management. 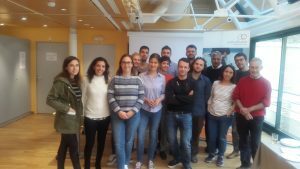 It is coordinated by the team of Professor Ángel Carracedo in the Fundación Pública Galega de Medicina Xenómica(FPGMX), and is part of the European Commission Program Horizon 2020. 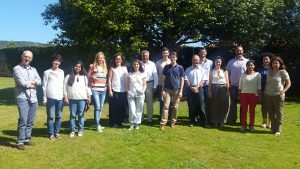 Our first meeting took place in Santiago de Compostela, in July 2015, with the aim of promoting the Pancanrisk project. In the first session, introduced by Ángel Carracedo, all the partners introduced ourselves and we knew our structure and organization. Then, in the Scientific Work Packages, the partners analyzed their role in the project. 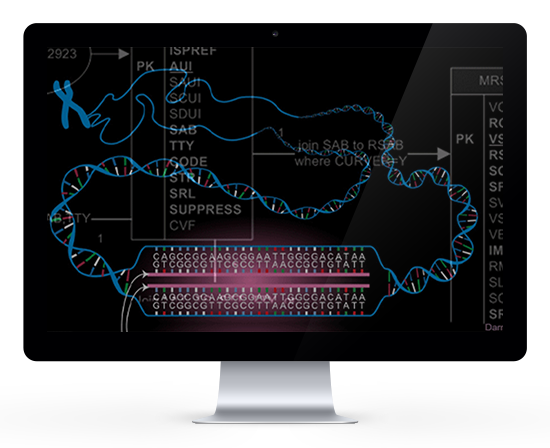 Stephan Ossowski analyzed the development of a computational platform for sequencing-based cancer risk analysis and Xavier Stivill talked about the tools for rare and common variant association analyses in cancer studies. Next, Oliver Stegle explained the identification process of regulatory variants and eQTLS, integrating germline and somatic mutations and phenotypes. 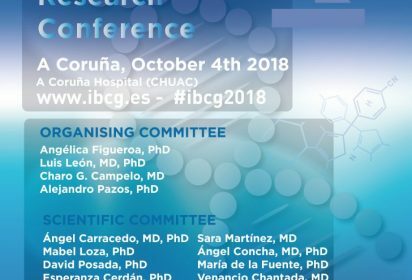 Replication and clinical validation in cancer, with Anna Abulí, functional study of identified risk genes and regulatory variants, with Aura Carreira, and computational biomarker development for cancer predisposition genes with Mahesh Shah were also discussed. On the second day, Domenico Lalli, legal officer at DG Research & Innovation European Commission, analyzed the practical aspects of Horizon 2020 projects and advices for PanCanRisk. Also, the ethical and legal issues were explained by Ángel Carracedo, who guided the project’s partners to a visit to Fundación Pública Galega de Medicina Xenómina and Innopharma.